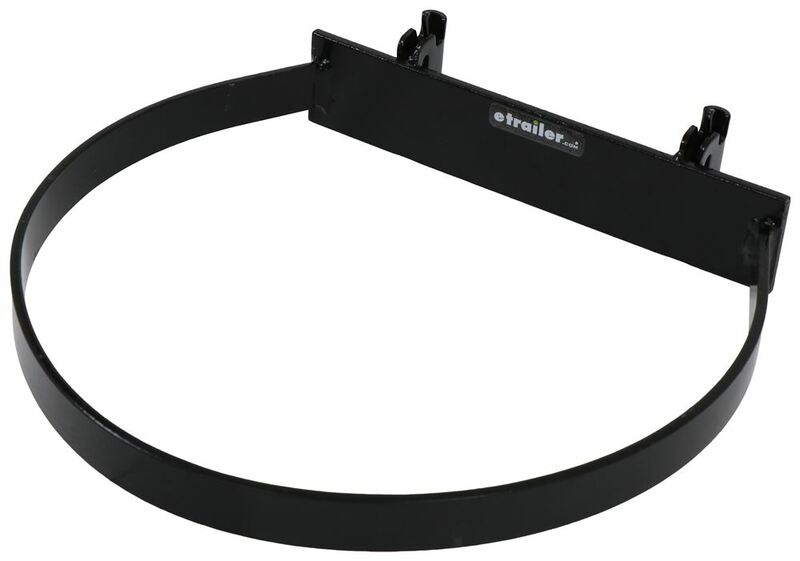 Bucket holder designed for your E-track system (sold separately) lets you secure a 5-gallon bucket (not included). 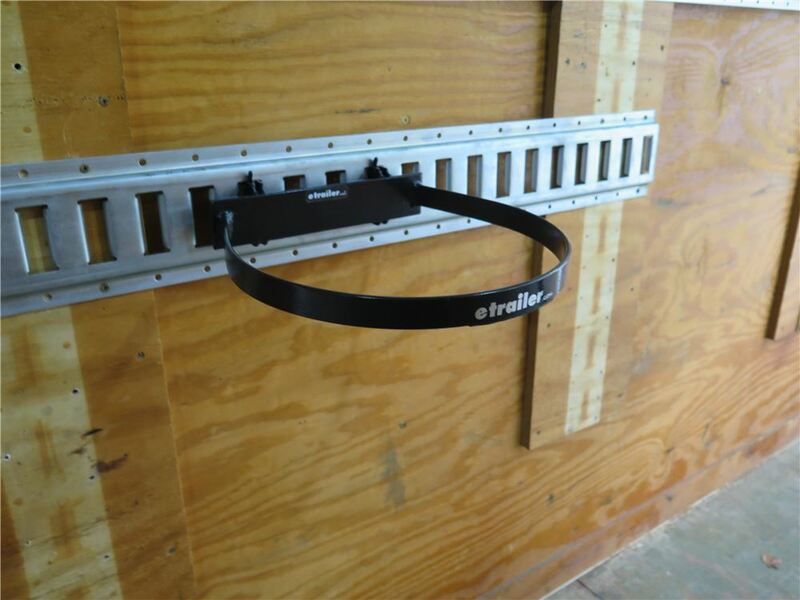 Reposition anywhere along track to keep bucket out of the way and to maximize storage options in your trailer or shop. 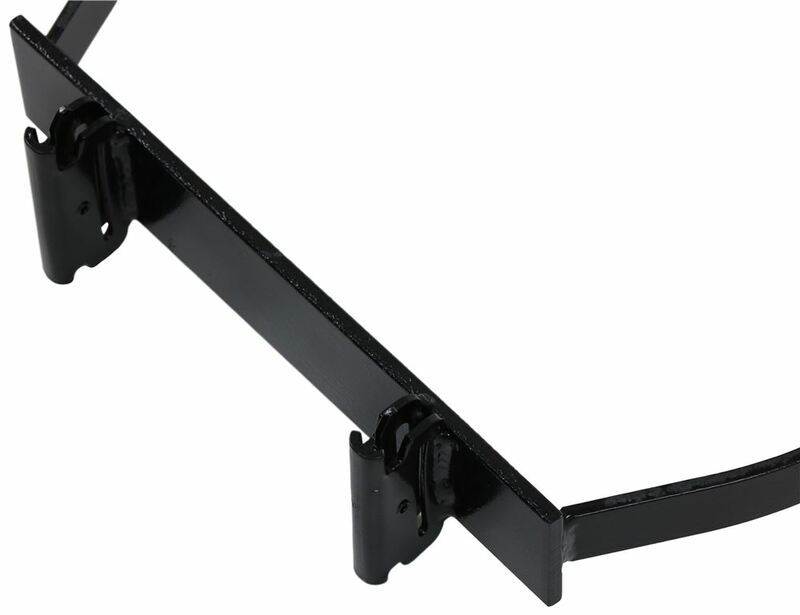 Call 800-298-8924 to order Brophy e track part number ETBHB or order online at etrailer.com. Free expert support on all Brophy products. 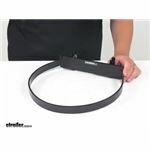 Guaranteed Lowest Price and Fastest Shipping for Brophy 5 Gallon Bucket Holder for E-Track - Black. E Track reviews from real customers. 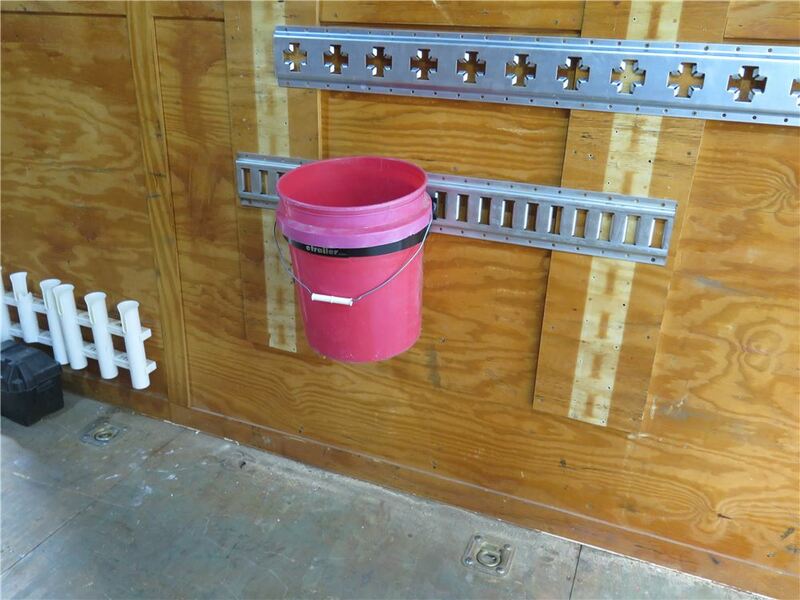 Bucket holder designed for your E-track system (sold separately) lets you secure a 5-gallon bucket (not included). 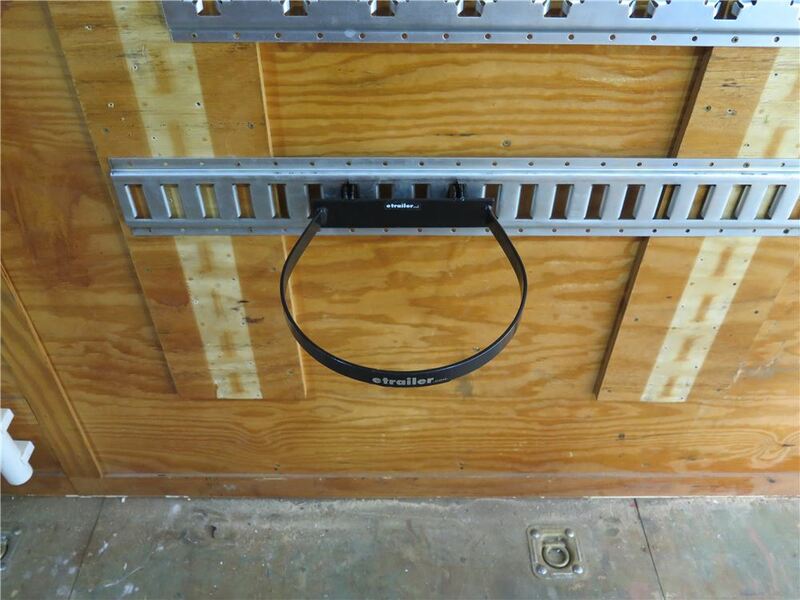 Reposition anywhere along track to keep bucket out of the way and to maximize storage options in your trailer or shop. Speaker 1: Today we're taking a look at the Brophy 5 Gallon Bucket Holder for E-Track Systems. 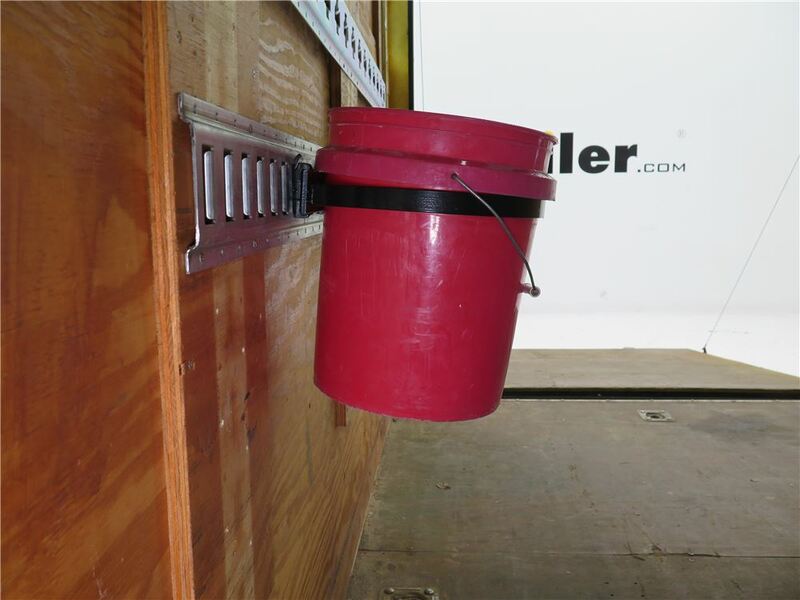 This 5 Gallon Bucket Holder lets you secure a bucket to the wall of your trailer, shop or garage. 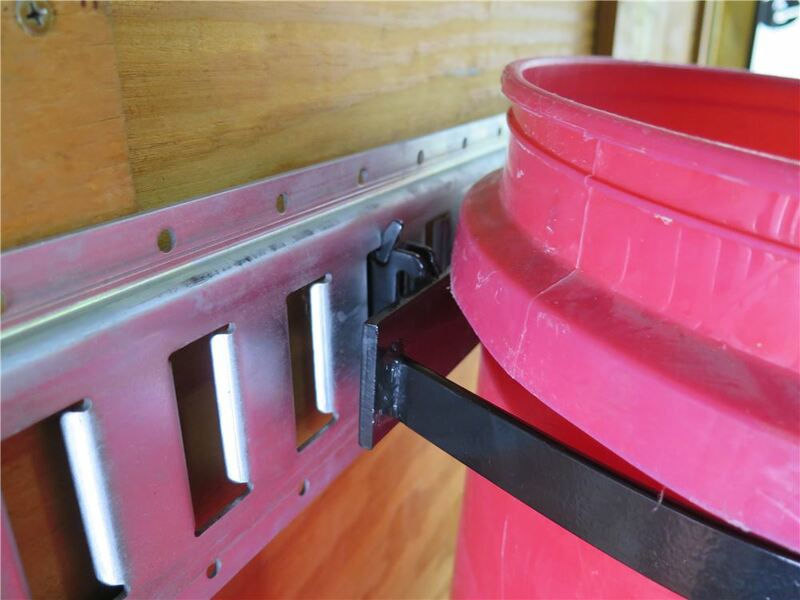 It keeps your bucket upright and out of the way to maximize space and prevent contents from spilling. 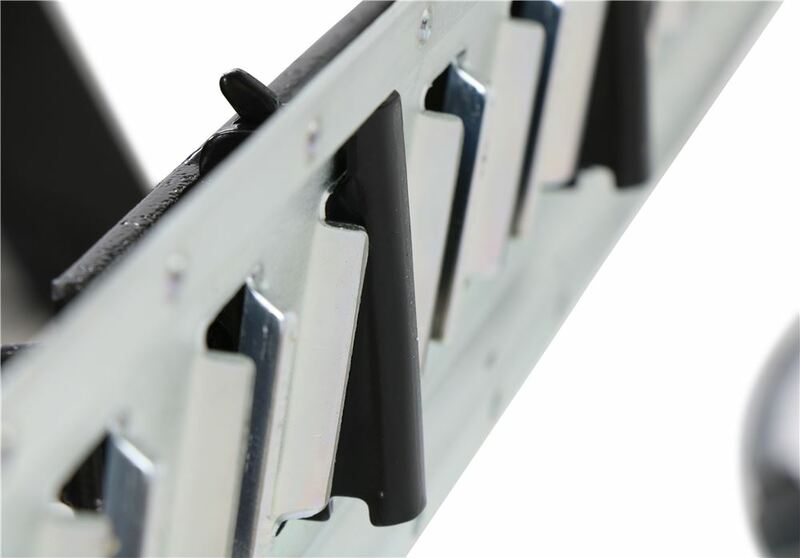 It features the spring loaded fittings that are designed to snap into the anchor slots on your E-Track System. E-Track is not included. 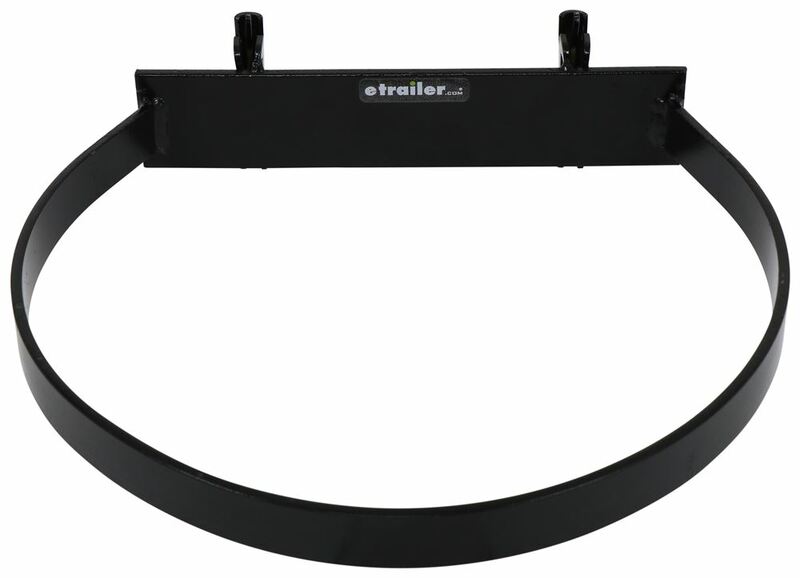 If you need some you can find all that at etrailer.com. 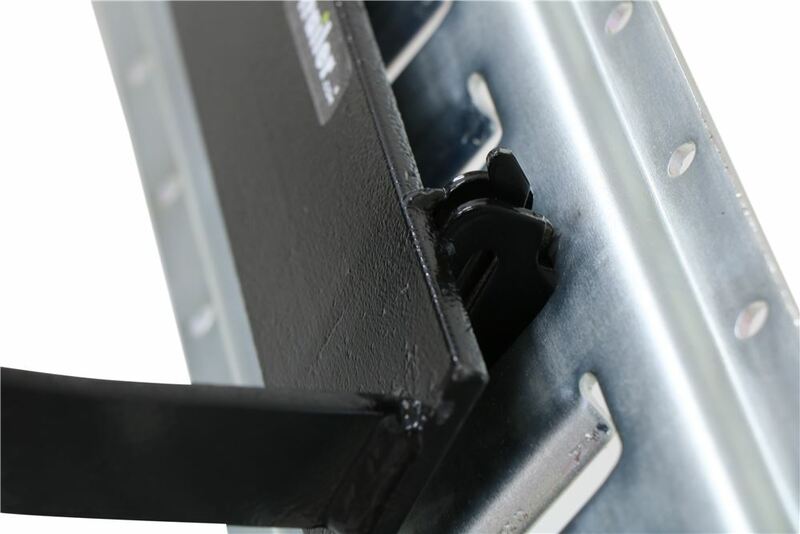 But with this type of system there's not drilling required and you can reposition it anywhere along the E-Track System. We're looking at a sturdy steel construction. 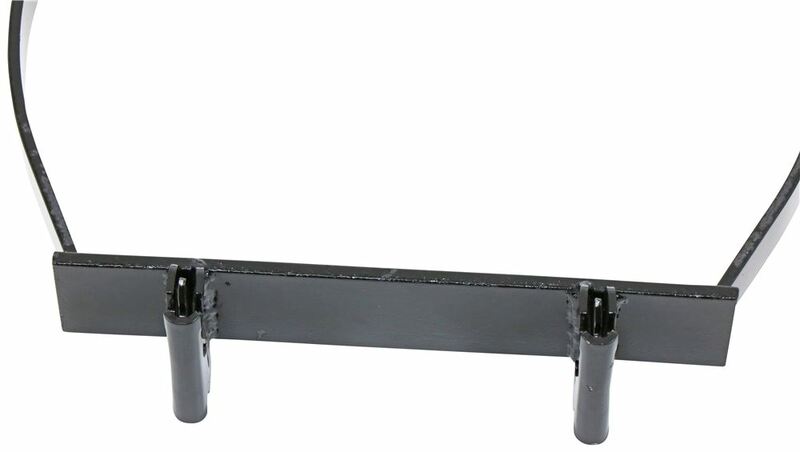 It's very strong and durable. Also, it has a nice black powder coated finish on it to resist rust and corrosion.Now these fittings right here, these are separated apart from one another on center by 6". Measuring inside edge to inside edge going this direction gives a measurement of about 12 3/16" to 12 1/4". Inside edge to inside edge going this direction gives a measurement of about 11 3/16".That's going to do it for today's look at the Brophy 5 Gallon Bucket Holder for E-Track Systems. 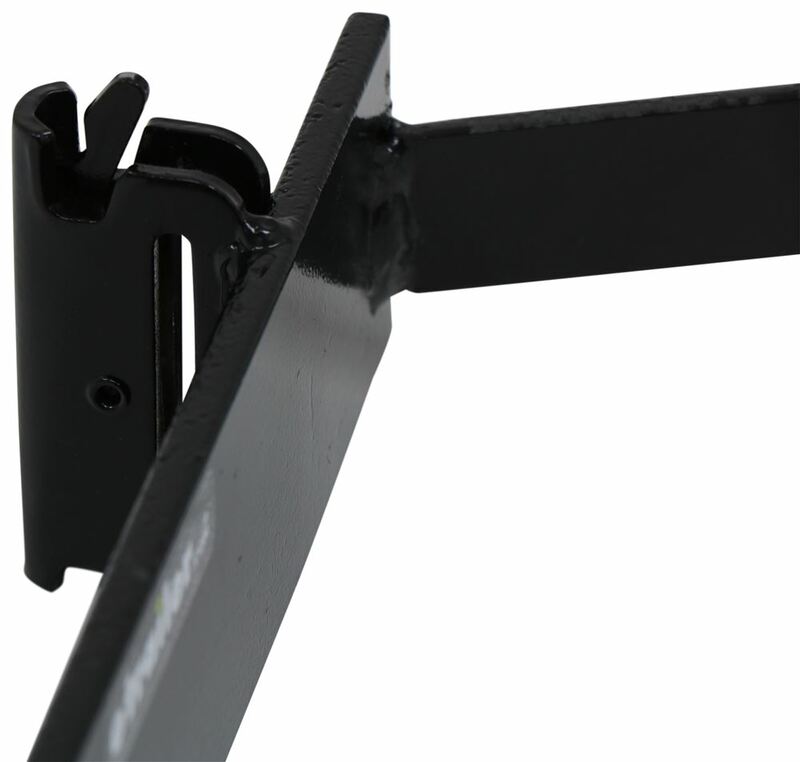 The Brophy 5 Gallon Bucket Holder for E-Track # ETBHB that you referenced is designed to mount in vertical e-track like the # E19146.